Elisa Parhad is the author of Southern California: A Guide for the Eyes. This is her first book for children. She lives in Pasadena. Alexander Vidal is an illustrator and designer working in Los Angeles. His clients include the Smithsonian, Abrams Books, the Los Angeles Times, and the National Parks Service. "It’s a stylish new classic about the City of Angels. We love this one, and we love LA." 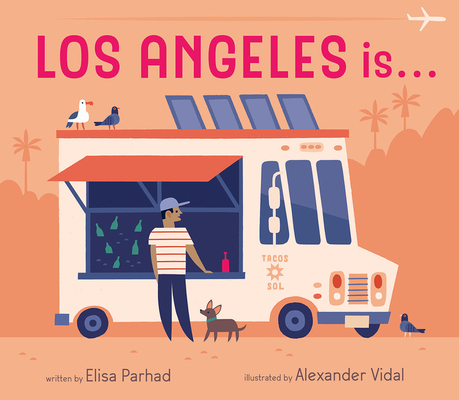 "This pretty board book is as chic as Los Angeles itself, complete with palm trees and taco trucks and a healthy dose of style." "It is one of the most adorable ‘California’ books I’ve ever seen!"